At Jamuna Pai's book launch, Malaika Arora Khan wore a Chloe shirt, which she teamed with high waisted pants from Promod. She added a Citrine and south sea necklace from Farah Khan Ali and a Chanel classic flap bag. Her choice of shoes were her favorite and trusted Louboutins (yawn). She looked good in monochrome outfit. She finished her look with her hair tied in a ponytail. We have only one complaint from this look and that is her shoes. Malaika does not experiment beyond Loubs and Choos. We really want to see her in something more eye catching like Sophia Webster or Manolo Blahnik. 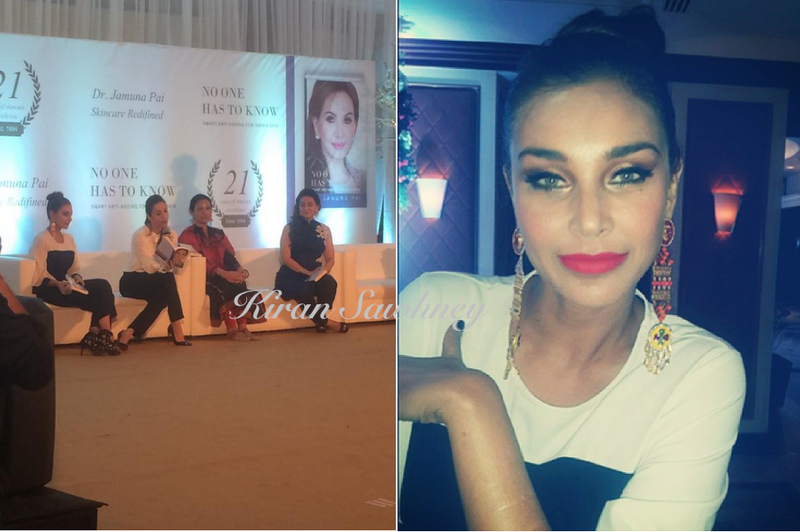 Also present at the book launch was Lisa Ray. We have already covered Juhi Chawla here. Like Malaika, Lisa too was in monochrome. She wore black and white Mantos jumpsuit. 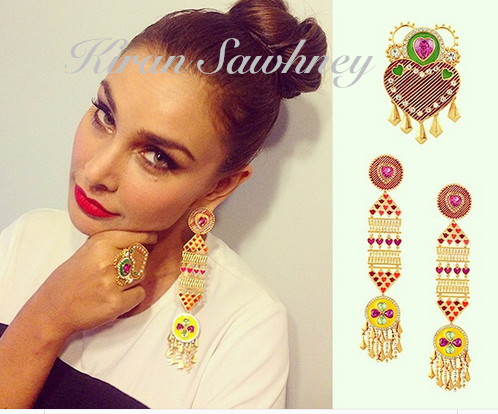 She added statement earrings and ring from Amrapali. She finished the look with dramatic eye makeup with red lips and top knot.